 JMD Ross is a prominent Sydney-based insurance broking house which begun its operations in 1979. The company is owned by cornerstone shareholder AUB Group Limited and several members of the senior management team. JMD Ross joined AUB Group Limited in 1994. The financial stability the AUB Group Limited relationship provides to the business is significant and welcome. JMD Ross is also a Globex International partner and the Australian representative of the Worldwide Insurance Network Group (WING). The Globex International Group is an international risk management, insurance and employee benefits consultancy firm which, through its team’s broad international experience, can equip partner brokers and underwriters with a full global capability. WING is a network that brings together a worldwide partnership of independent industrial and commercial brokers. It provides multinational clients with a co-ordinated, integrated approach to insurance and risk management. JMD Ross is a member of UnisonBrokers, one of the largest independent networks of mid-sized insurance brokers. It is headquartered in Hamburg, Germany. As specialists in international insurance programs, UnisonBrokers provides solutions for significant industrial regions worldwide. JMD Ross is a Lloyd’s of London cover holder. JMD Ross is a member of the National Insurance Brokers’ Association and Financial Ombudsman Service Australia (FOS). JMD Ross subscribes to the following code of practice.